The 2019 1770 Club Championships will be held on Saturday 27th & Sunday 28th July. 18 holes each day teeing off at either 8:30am or 12noon. Congratulations to our ladies club champion for 2018, Lorraine scoring rounds of 82 and 80 and our mens club champion for 2018, John scoring a 70 and a 78 for the 2 day event. See you in July! 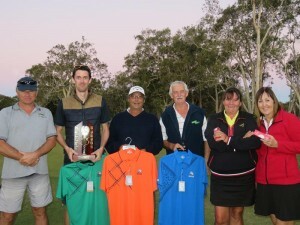 Copyright © 2011 Town of 1770 Golf Course Agnes Water QLD.